Grew up with FMP (Serbia) juniors. Made his debut wit FMP 2nd team, 1B, during the 2008-09 season. Signed for the 2009-10 season by BC Partizan Belgrade. Signed for the remainder of the season by Mega Vizura. 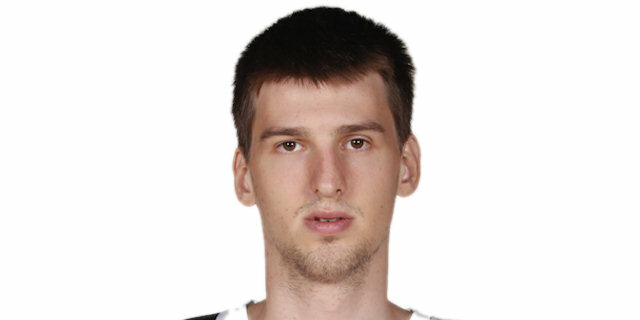 Signed for the 2011-12 by BC Partizan Belgrade. Moved to Fyrom for the 2013-14 season, signed by MZT Skopje. Won the 2009 Euroleague Basketball Adidas Next Generation Tournament with FMP. Won the 2009-10, 2011-12 and 2012-13 Serbian National Championship with BC Partizan Belgrade. Won the 2010 and 2012 Serbian National Cup with BC Partizan Belgrade. Won the 2010, 2011 and 2013 Adriatic League with BC Partizan Belgrade. Won the bronze medal at the 2006 European U-16 Championship.